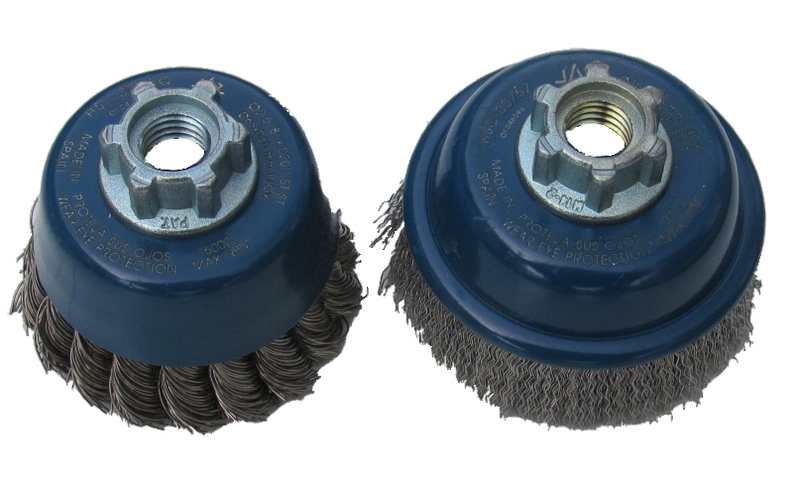 Applications: These brushes are for use on angle grinders of size 115mm upwards. They have crimped or twisted knot stainless steel wire of grade AIS1302 or higher. Most popular applications include aggressive cleaning of stainless steel welds, paint and coating removal and metal cleaning. They are also useful on external masonry where aggressive cleaning is needed but without residual rust stains. The bevel brushes can be used on edge or face down as a cup brush. 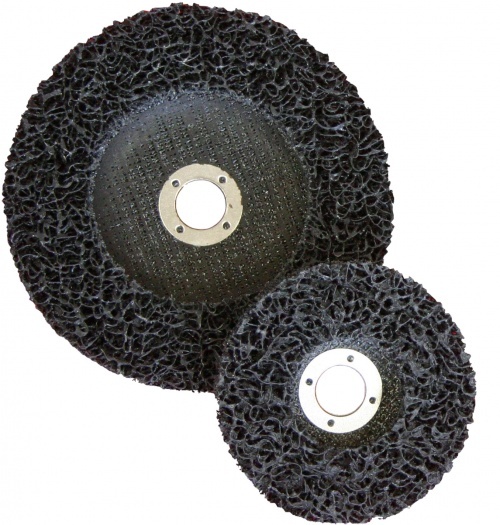 The 100mm bevel wheel is recommended for 115mm angle grinders and the 115mm for 125mm grinders. 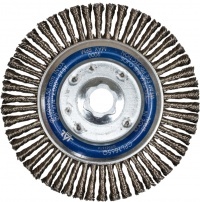 The radial brush sizes should be selected for their respective angle grinder sizes. Radial twisted knot wheels have 22.2mm centre bores for mounting on the angle grinder flanges. Other wheels have M14 female threads to mount direct to angle grinder spindles. 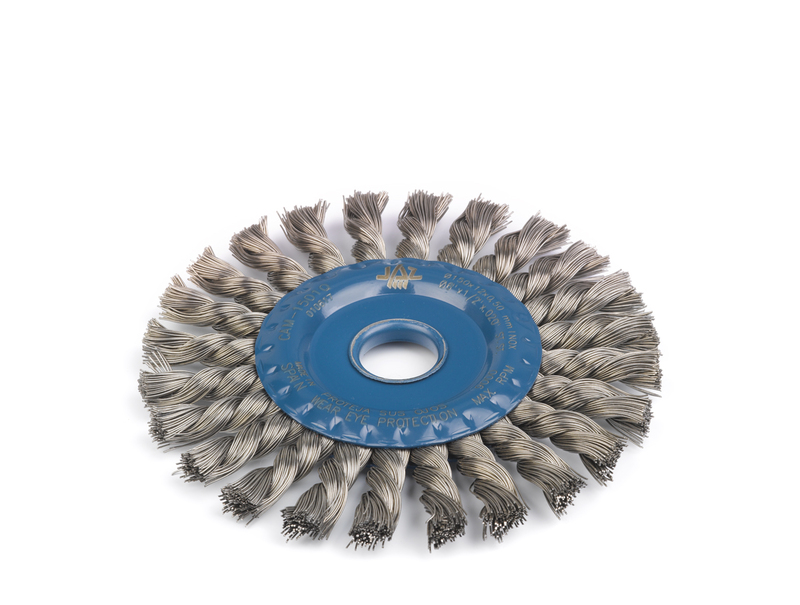 Bevel wheels can be used flat as a cup brush or on its edge. Wire is AIS1302 or higher. Suitable for fixed and variable speed angle grinders. 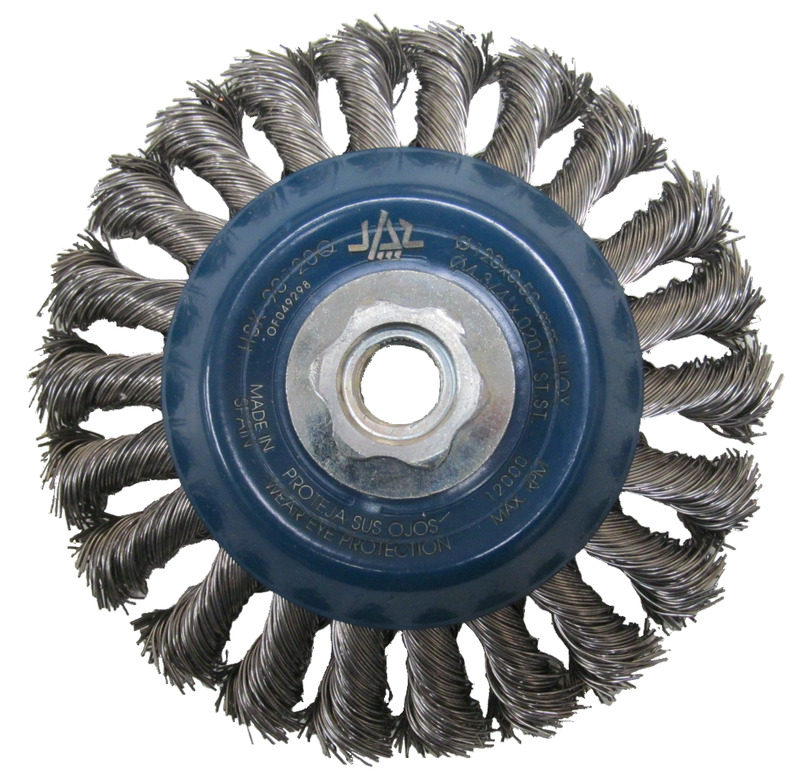 Also Available: We also supply stainless steel grade cup brush wheels in both twisted knot and crimped wire. For gentler action when stripping paint and coatings, stripping discs are are also suitable for use on stainless steel.